edit and publish content on the website within minutes. Our CMS development gives you a high level of flexibility that will eventually translate into profitability. By using cutting-edge technologies and combining our experience with your vision, we build you an optimal solution, and provide training and support long after your project is finished. Nowadays number of open sources Content Management Systems (CMS) are available over web, which can be easily used by anyone at free of cost. An effective CMS can enable you to manage website contents, documents, images, videos and graphics which you are integrates in your website. We offer personalized CMS website development services to meet your diverse requirements. With our CMS development service, you will get a user friendly interface and admin control access to control the contents of your website. With our wide range of CMS website development services, you manage your business more efficiently than ever. Instant access to information means quicker modifications, better workflow and increased productivity. Our CMS development solutions for your simple to complex needs give your business a desirable edge over its competitors. Websites those developed using CMS are much more optimized for the search engines, thus having better page rankings. There are number of plug-ins that helps in the search engine result pages (SERP) for efficient management. Chandigarh's Leading CMS Web Development Company ! Ink Web Solution provides CMS Web Development services in Chandigarh, Mohali, Himachal Pradesh and India. Ink Web Solutions have been delivering astounding websites as well as CMS solutions to world renowned companies as well as start ups. 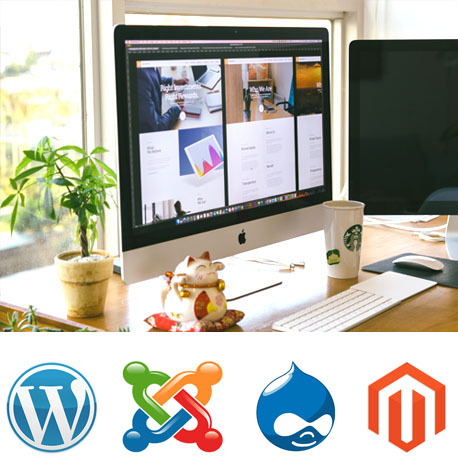 We have hand-picked the best website developers from around the world in fields like Magento, Shopify, Wordpress, Drupal and Joomla etc.